Last modified on 2010-01-21 18:35:24 GMT. 12 comments. Top. I am very happy to tell you that my i2fly logo featured in logos book under graphic section from Spain, January 2010 issue. 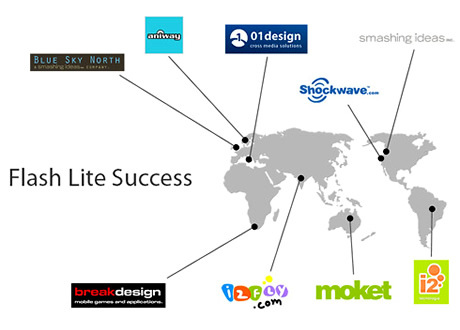 It’s a great feeling and i’m always passionate to take my design at global level, showcased them. Last modified on 2009-10-16 11:54:54 GMT. 0 comments. Top. Last modified on 2009-06-06 19:43:46 GMT. 6 comments. Top. 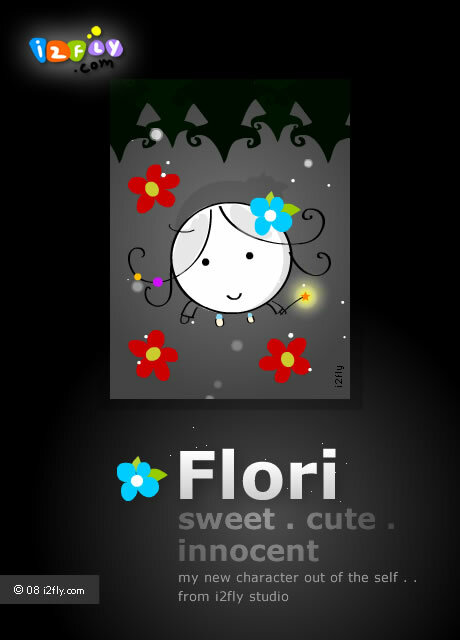 I submitted my cute little application “Nature” to the FlashLite Developer’s Challenge and hope people will like it. I will share further more details, video and couple of more screenshots soon. Last modified on 2009-03-27 07:13:31 GMT. 3 comments. Top. Last week i switched off my macbook pro for few hours which usually i don’t and took some spare time to see my old design works. Last modified on 2009-01-26 18:53:41 GMT. 22 comments. Top. 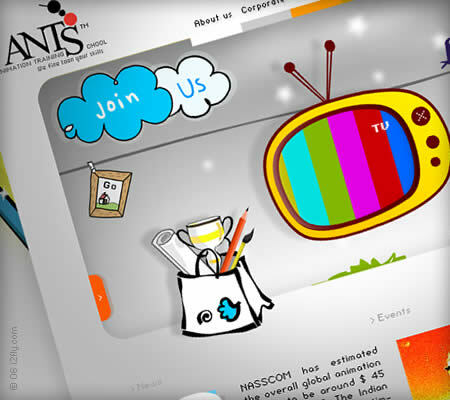 Mysore dasara is a mobile website designed for Indian festival. you can find the finest information while traveling there, an ultimate travel guide for events schedules, hotels, how to reach, image gallery etc. 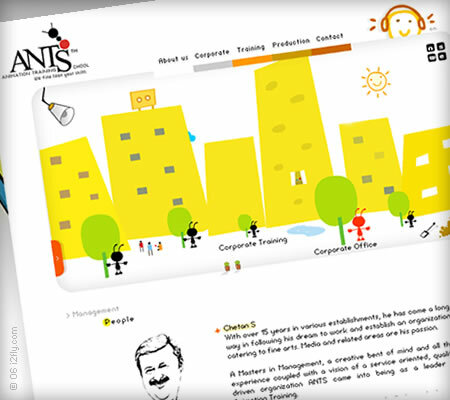 You can read about Mysore dasara mobile project here. Last modified on 2008-12-13 17:40:05 GMT. 25 comments. Top. Last modified on 2008-10-17 03:05:44 GMT. 3 comments. Top. 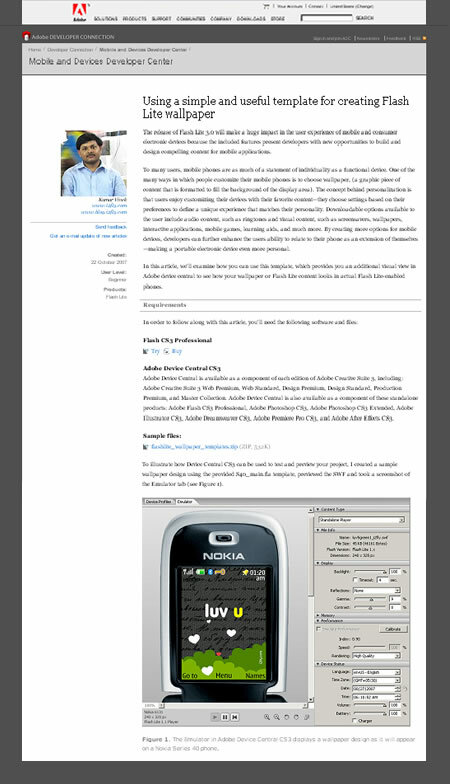 I recently updated my article on Adobe Devnet “Designing for mobile devices using Fireworks CS4“. Using design and i much passionate about creating engaging experiences which differentate any simple application in to enjoyable, usable and engaging. Its great and love to know your feedback, kindly post your comments. Last modified on 2008-10-01 14:55:21 GMT. 5 comments. Top. 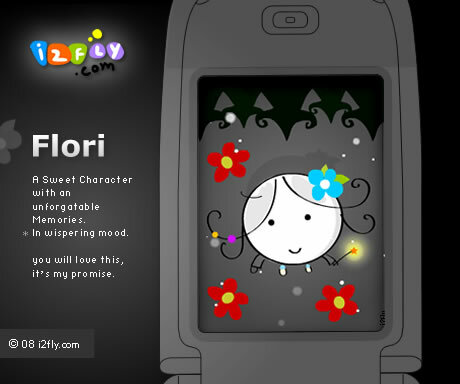 Type http://mysoredasara.i2fly.mobi in your mobile browser. 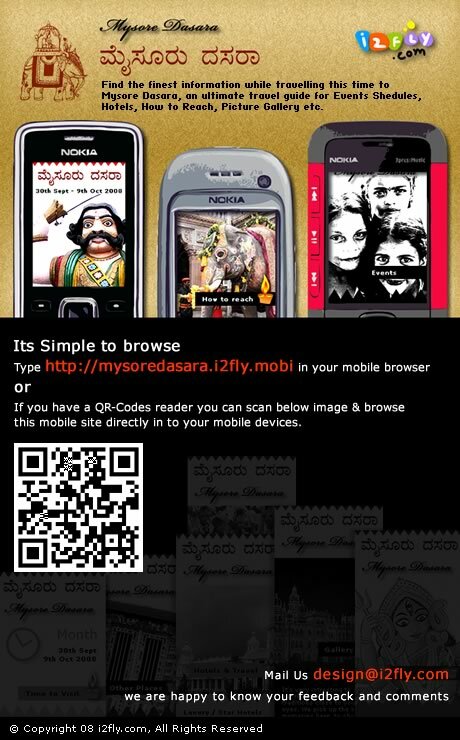 If you have a QR-Codes reader you can scan below image and browse the EMO.ZINE-Mysore Dasara 2008 directly in to your mobile devices. So what this travel guide is all about? A compact Mobile travel guide with easy access to all information like . .
Time to visit, Weather conditions. Ticket discounts to save money when you visit this city during the festival. Beautiful picture gallery to see how festival looks, Download free wallpaper too 🙂 . Other places surrounding city, a must see. Events “to know whats happening around the city”. Finally each section includes tips for travel and visit. What is Dasara festival ? The Dasara festival, also called navaratri or dasahara is perhaps the most widely celebrated festival of India. And comprises nine nights of worship and celebration, called Navaratri. Mysore- which of all the cities in India is perhaps the epicentre of this particular festival. The city of Mysore has a long tradition of celebrating the Dasara festival and the festivities here are an elaborate affair and attract a large audience including foreigners. During this festival city is beautifully decorated and illuminated. Different Cultural programmes by famous artists are arranged in the Palace. Musicians and dance groups from all over India are invited to perform on this occasion. A place once you visit it will be forever in your memories. A must visit place which is also known as “City of Palaces”. 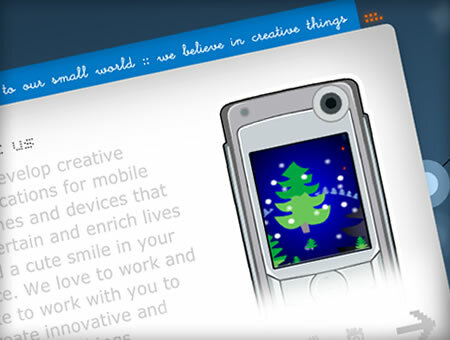 A microcontent publishing, bringing rich creative content for mobile devices. In general it’s an interactive magazine publication, for your mobile devices to know and explore the rich Indian traditions, culture, and many more things coming up…stay tuned 🙂 . We love to capture the emotions and deliver it to your mobile devices to see a smile in your face. If you have any ideas or looking for similar kind of product to design for yourself or for any business enquiries, feel free to get in touch with us. It will be really nice to hear from you, your feedback/ suggestions anything …feel free to mail me or post your comments here. Last modified on 2008-07-09 07:22:37 GMT. 5 comments. Top. From Pre planning to final application even the smallest design elements is very important to place. 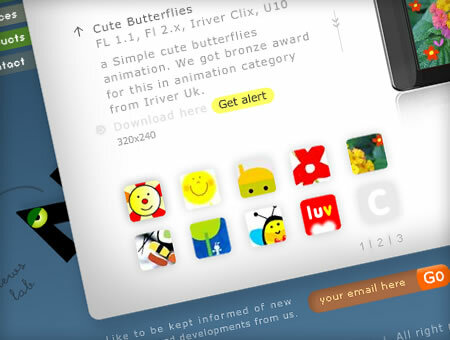 I use Fireworks CS4 beta almost exclusively on every project I create for mobile devices. 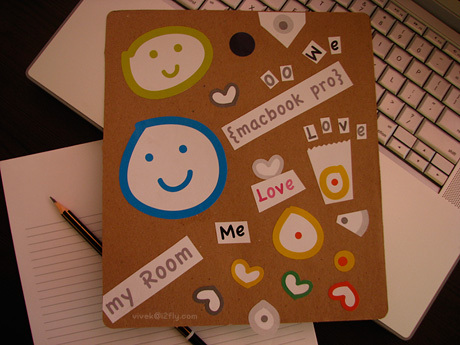 It is my first choice because I find it to be much more user friendly in terms of creating graphics and exporting files to a wide variety of formats. Additionally, the integration between Fireworks CS4 beta and Adobe Flash is just fantastic. 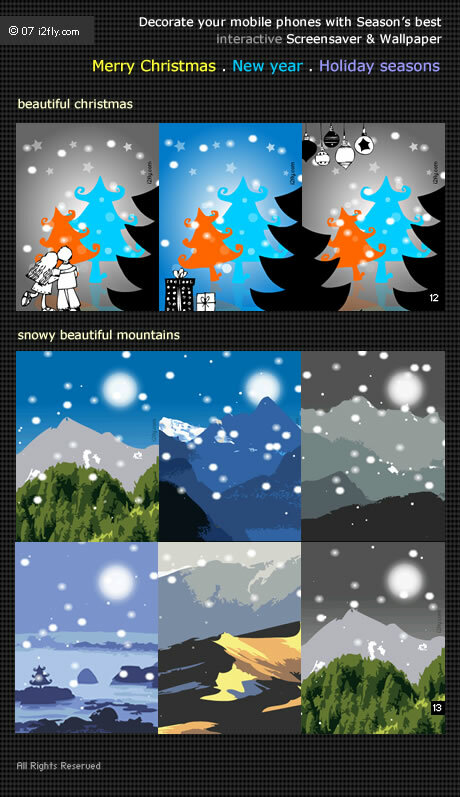 This article provides real-world considerations and tips for creating assets for your mobile development projects using Fireworks CS4 beta. As usual love to know your feelings. Feel free to post your comments/suggestions/views anything. Curious to know about it 🙂 . Last modified on 2008-04-30 07:34:40 GMT. 14 comments. Top. Last modified on 2008-04-02 16:59:04 GMT. 2 comments. Top. WOW ! !Adobe have launched a great new Mobile Gallery showcasing Flash Lite games, animations and applications from developers around the world. i2fly also featured in Adobe Mobile gallery, you can have a look of our Mobile content under wallpaper & screensaver section “Snowy Mountains“ 🙂 sweet thing. 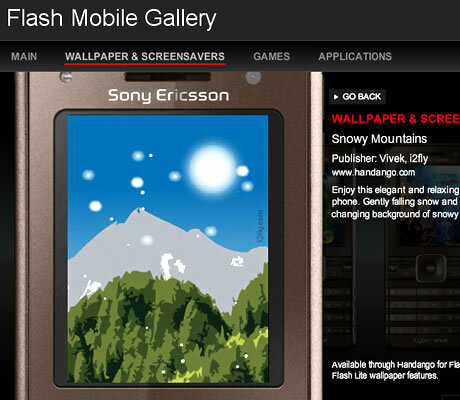 If you like to try “Snowy Mountains” as a wallpaper or screensaver in your mobile phone. And it will be great to know your feedback too. Last modified on 2008-01-06 12:35:44 GMT. 7 comments. Top. Last modified on 2015-04-05 06:21:28 GMT. 0 comments. Top. It’s great time enjoying this new year eve and year 2007. I must say that year 2007 is really good for me and i2fly. 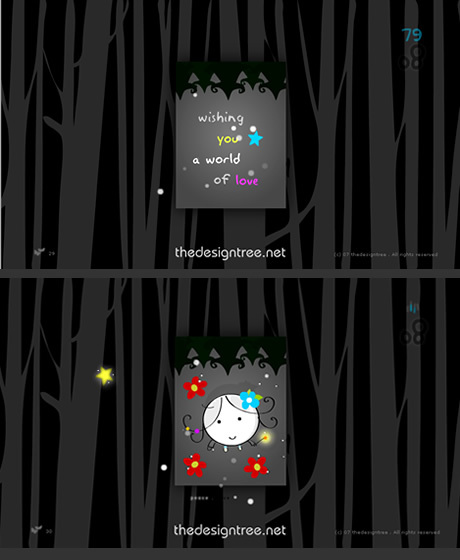 As i release lots of cute and beautiful Flash lite products to decorate everyone’s mobile phones. And my works presented in Adobe Max event(MAX 2007 Japan (Tokyo), MAX 2007 Europe (Barcelona), MAX 2007 US (Chicago), FlashForeward 07, articles published on Adobe devnet, Presented at IndiMAD group Bangalore, co-author with Chris Georgenes in his book. . . sweet memories. There are many new plans for year 2008!! 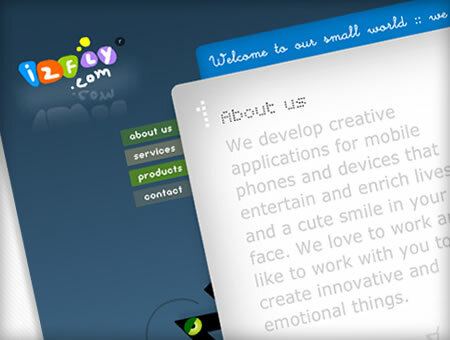 Hope this year will bring more good thing and great future for i2fly. .
Last modified on 2008-12-02 05:07:37 GMT. 10 comments. Top. Last modified on 2007-10-23 02:47:53 GMT. 8 comments. Top. My first article published on Adobe Devnet (Mobile & Devices Developer Center) on “Using a simple and useful template for creating Flash Lite wallpaper” In this article you will see how you can use this template, which provides you an additional visual view in Adobe device central to see how your wallpaper looks in actual Flash Lite-enabled phones. It save time in your development workflow. I write about this earlier (older version) and love to see this as future feature in Adobe Device Central for other devices too so that developer can make the production process faster and easier. 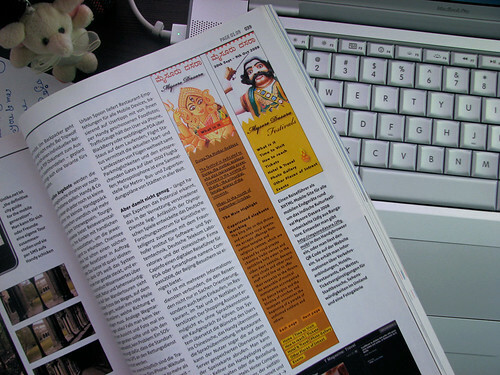 Flash lite Indian travel guide on “Mysore Dasara” see how it looks in mobile phone. Last modified on 2007-10-16 15:09:27 GMT. 3 comments. Top. We are very happy to released this Flash lite Indian travel guide on “Mysore Dasara” few days back under the brand name of EMO.ZINE and got some of good comments and feedbacks from many people around the world. This travel guide is free and anyone can download and use it. EMO.ZINE is microcontent publishing, bringing rich creative content for mobile devices. 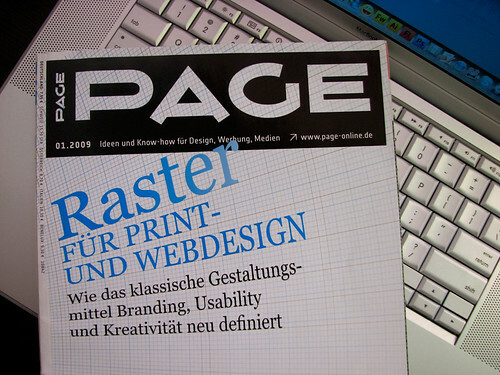 In general it’s an interactive magazine publication, for your mobile devices. Last modified on 2008-08-26 04:31:00 GMT. 16 comments. Top. What is this festival ?. How to reach by rail, road and air. Beautiful picture gallery to see how festival looks. Other places surrounding city which are interesting to see. News and updates: regarding traffic conditions and routes which updates time to time. Finally each section includes highlight mark for important things to know and many tips for travel and visit. Download EMO.ZINE-dasara below, according to your phone model. 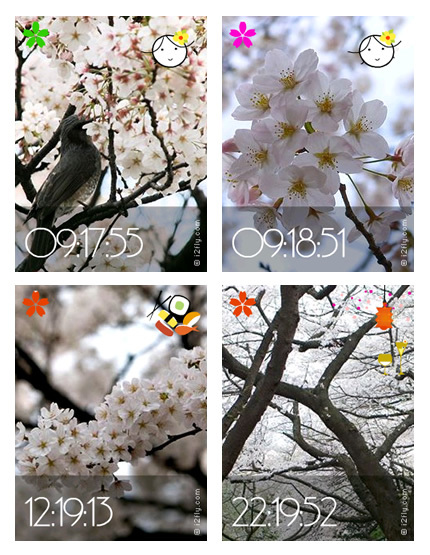 Current supportive phone resolution is 240 x 320 and other version will release soon. 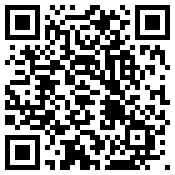 If you have a QR-Codes reader you can scan below image and download the EMO.ZINE-dasara installer directly in to your mobile devices. 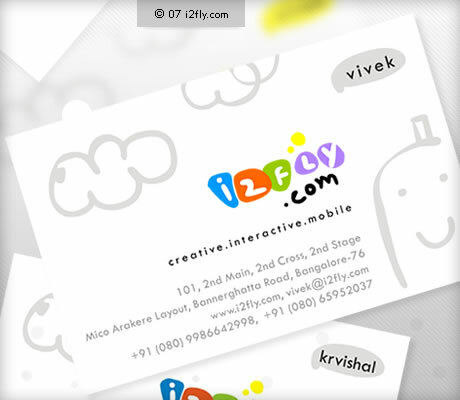 If you feel your phone is not listed mail me vivek@i2fly.com, i will update you soon. 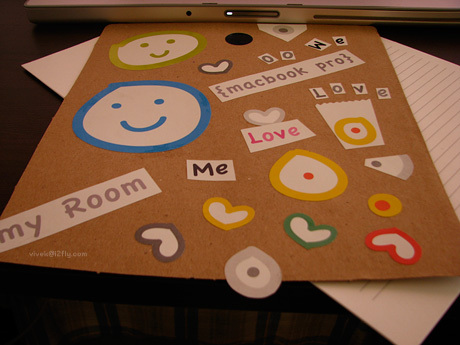 It will be really nice to hear from you, your feedback/ suggestions anything …feel free to mail me or post here. Last modified on 2015-04-05 06:12:49 GMT. 1 comment. Top. Bill Perry posted finally his Flashforward presentation about creating and selling Flash Lite content. A great presentation to read on and to see the growing Flash lite community and intresting things how other developers are using Flashlite. Last modified on 2007-09-24 04:16:43 GMT. 9 comments. Top. 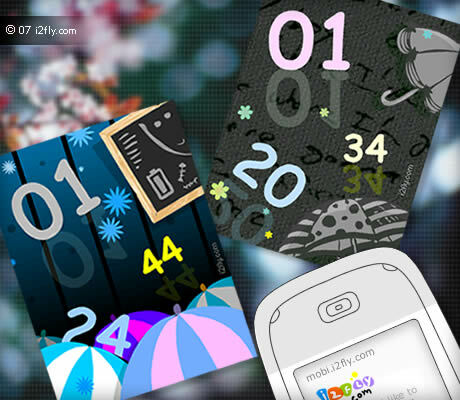 “Refreshing rain” our new collection of 3 beautiful design of Flash lite Screensaver and wallpaper for your mobile phone. 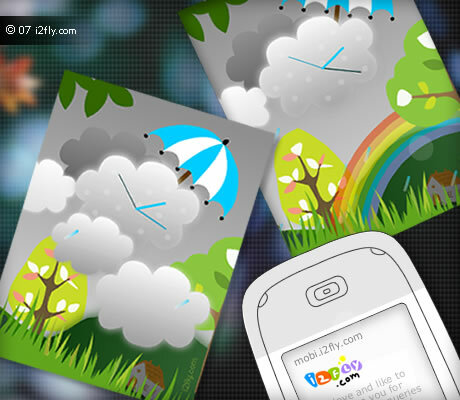 Enjoy the beauty of rain weather in mobile with clock. You will see rain. .drips and drops. .colourful rainbow, little moving clouds and as your network will up and low it show a thunder too on screen. It looks so natural and relaxing to eyes. Let’s feel the rhythm in the rain …see it..love it. Love to know what you feel about it. 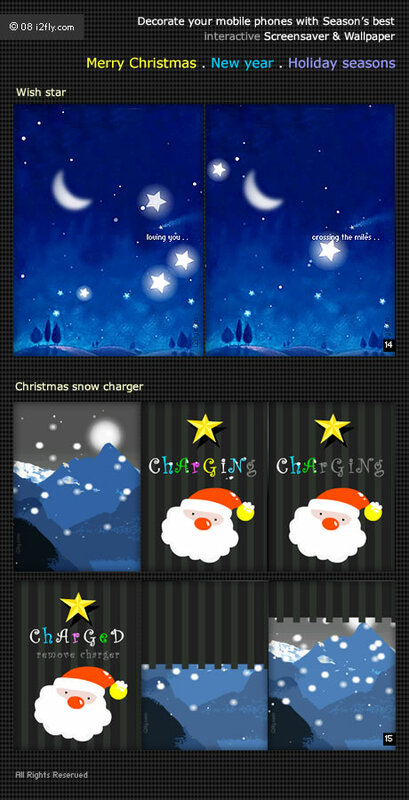 Download these beautiful Flash lite Screensaver and wallpaper here. Last modified on 2007-09-03 13:13:45 GMT. 8 comments. Top. Honestly doodling many times using my wacom and each time thinking something something . . as i wanted my business card to be little imaginative and creative. I used clouds & happy mobile which i really love it. .It looks really nice and cute 🙂 Let me know what you think about it. Last modified on 2015-04-05 06:20:48 GMT. 26 comments. Top. I am really exciting with this book release “How to Cheat in Flash CS3 : The art of design and animation in Adobe Flash CS3” as this is my first article “Creating Dynamic Screenasver in Flash lite” published in this book and working with Chris Georgenes is great experience for me. 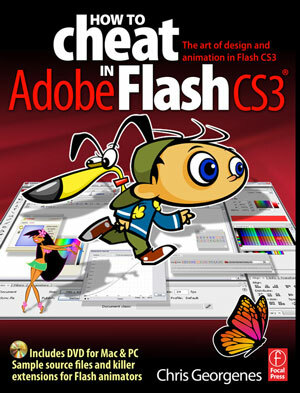 Let me tell you something about this book its all how to cheat in Adobe Flash CS3 and tips tricks. 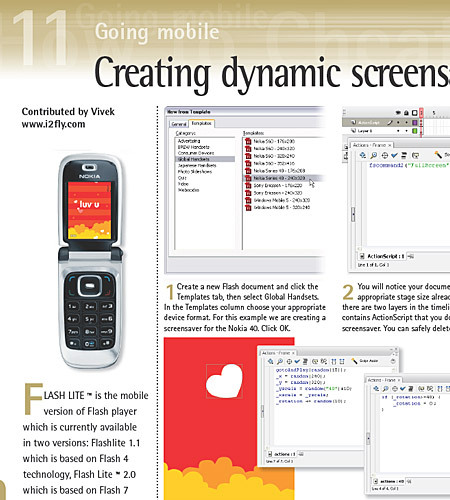 It covers dedicated chapter 11 “Going Mobile” for Flash mobile development which covers from Basic to how to create a dynamic screensaver includes tips to optimize graphics and testing in Adobe device central. 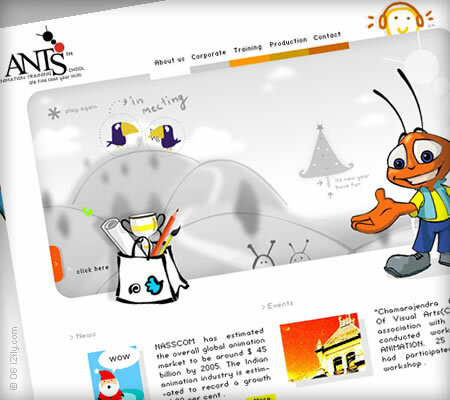 It includes many chapters related to animation, Flash video developments and time saving techniques. Chris Georgenes a self-taught as an animator. he run his own animation company: Mudbubble.com. 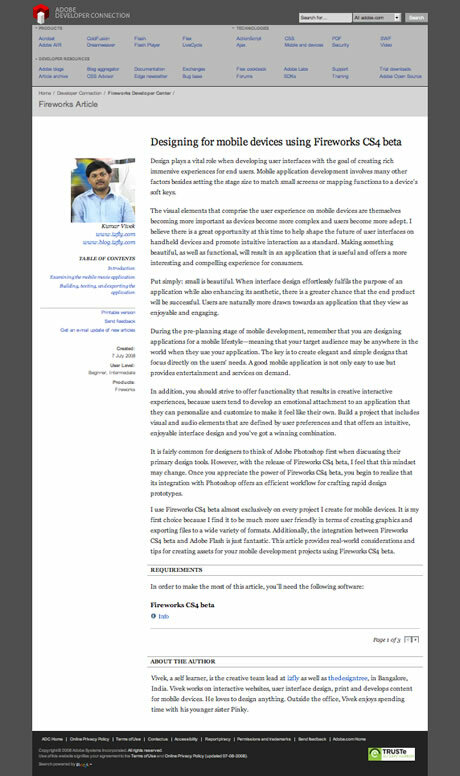 An avid contributor and speaker in many Flash communities and has impressive accolades and credentials, from delivering live Flash technical presentations via Adobe Connect (formerly Breeze), writing articles and tutorials for Devnet, presenting at Flashforward, to running his own Keyframer forum. Chris’s presence and contribution to the Flash community receives great recognition.He has undertaken countless outstanding high profile projects for Adobe, Yahoo!, Digitas, Ogilvy, Gillette AOL, and Pileated Pictures, to name a few. Chris Georgenes is also a featured artist at the Adobe Design Centre and an Adobe Certified Expert (ACE). A regular speaker at Flashforward and Adobe MAX. It will be great if anyone post your experiences using this book and my Flash lite article. Please feel free to post your comments\suggestions here. Last modified on 2007-07-27 18:27:13 GMT. 10 comments. Top. Last modified on 2007-06-03 19:33:06 GMT. 15 comments. Top. Last modified on 2007-12-04 16:05:09 GMT. 16 comments. Top. Last modified on 2007-04-06 15:42:08 GMT. 9 comments. Top. Just design a beautiful Flash lite 1.1, Sakura, Screensaver 🙂 . You can download full version here, have fun. The cherry blossom (Sakura) is Japan’s unofficial national flower. It has been celebrated for many centuries and takes a very prominent position in Japanese culture. here are many dozens of different cherry tree varieties in Japan, most of which bloom for just a couple of days in spring. The Japanese celebrate that time of the year with hanami (cherry blossom viewing) parties under the blooming trees. Japan’s most beloved variety is the Somei Yoshino. Its flowers are nearly pure white, tinged with the palest pink, especially near the stem. The flowers bloom, and usually fall (or “scatter”, 散る [chiru], in Japanese) within a week, before the leaves come out. Therefore, the trees look nearly white from top to bottom. If you like to play with free trial version of this screensaver. Download below, according to your phone model or resolution. To check your supportive phone list you can go here. If you feel your phone is not listed mail me, i will update you soon. Last modified on 2007-11-04 04:12:35 GMT. 0 comments. Top. 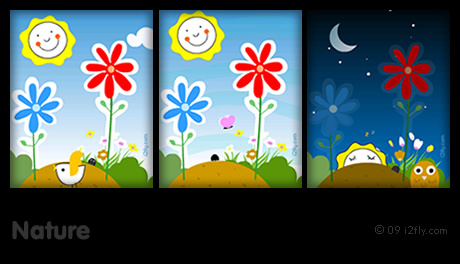 A cute smiley clock wallpaper/screen saver for your phone. When i design this, i was thinking off do these simple things can be liked by people but yes as i feel simple things can do wonder and change your emotions. If you are finding any problem using this or in download, feel free to send me an Email with your Phone model.